სიოგუნი (იაპონ. 将軍 しょうぐん; სეიი ტაისიოგუნის შემოკლებული სახელწოდება, სიტყვასიტყვით — დიდი მხედართმთავარი, რომელიც იმორჩილებს ბარბაროსებს) — თავდაპირველად იაპონიის იმპერიის სამხედრო წოდება იყო და იმ ჯარების სარდლებს ანიჭიბდნენ, რომლებსაც 794-დან 811-მდე კუნძულ ჰონსიუს ჩრდილო-აღმოსავლეთ ნაწილში გზავნიდნენ ემისების დასამორჩილებლად. 1192 წელს სიოგუნის წოდება მიენიჭა მინამოტოს ფეოდალური სახლის მეთაურს მინამოტო იორიტომოს. ამ დროიდან სიოგუნს უწოდებდნენ იაპონიის სამხედრო-ფეოდალურ გამგებლებს (რომლებიც მართავდნენ ქვეყანას იმპერატორის სახელით) მინამოტოს (1192-1333), ასიკაგას (1335(1338)-1573), ტოკუგავას (1603-1867) ფეოდალური დინასტიებიდან. Columbia University. 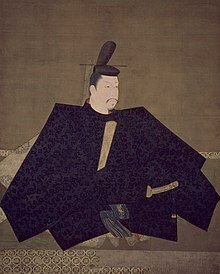 (2000)Japan: History: Early History to the Ashikaga Shoguns. Factmonster. წაკითხვის თარიღი: 2007-04-17. Brazell, Karen (November 1972). "The Changing of the Shogun 1289: An Excerpt from Towazugatari". The Journal of the Association of Teachers of Japanese 8 (1): 58–65. . JSTOR 489093. Brock, Karen L. (Winter 1995). "The Shogun's 'Painting Match'". Monumenta Nipponica 50 (4): 433–484. . JSTOR 2385589. Grossberg, Kenneth A. (August 1976). "Bakufu Bugyonin: The Size of the lower bureaucracy in Muromachi Japan". The Journal of Asian Studies 35 (4): 651–654. . JSTOR 2053677.
ეს გვერდი ბოლოს დარედაქტირდა: 19:13, 4 აპრილი 2017.